The 55th CLIO Awards in New York has named its various ‘Grand Clio’ winners and they’re as you would expect: Creative Artists Agency for Chipotle’s ‘Scarecrow, ‘Adam&Eve DDB for Harvey Nichols’ ‘I Spent it On Myself’ and Ogilvy One for BA’s ‘Magic of Flying’: all big Cannes winners. The full list is here. The most interesting Grand CLIO winner is AMV/BBDO’s ‘Sapeurs’ documentary for Guinness. The ad itself under-performed (or was under-awarded) at Cannes. 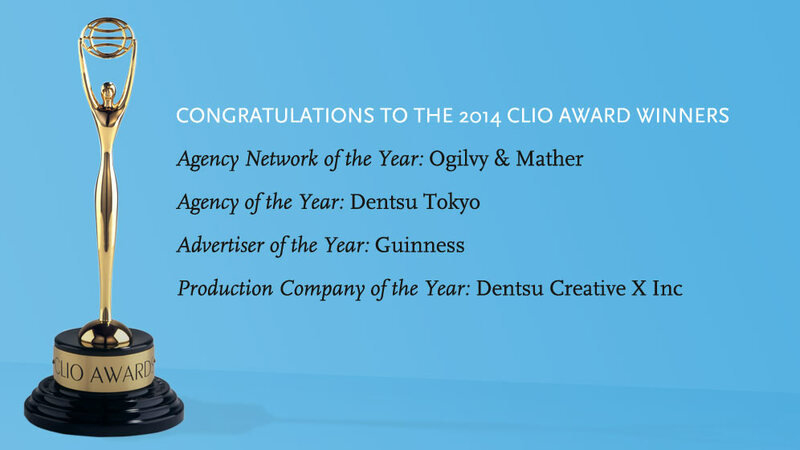 WPP’s Ogilvy & Mather won Agency Network of the Year (as it did in Cannes), Agency of the Year was Dentsu Tokyo (which must be a first), Advertiser of the Year was Guinness and Dentsu again, in the shape of Dentsu Creative X Inc, was Production Company of they Year. Consistency in judging is a good thing, I suppose, but it’s a bit boring when the same ads win nearly all of the big awards.